Searching for a video recording software? CloudApp lets you record HD video right from your computer. 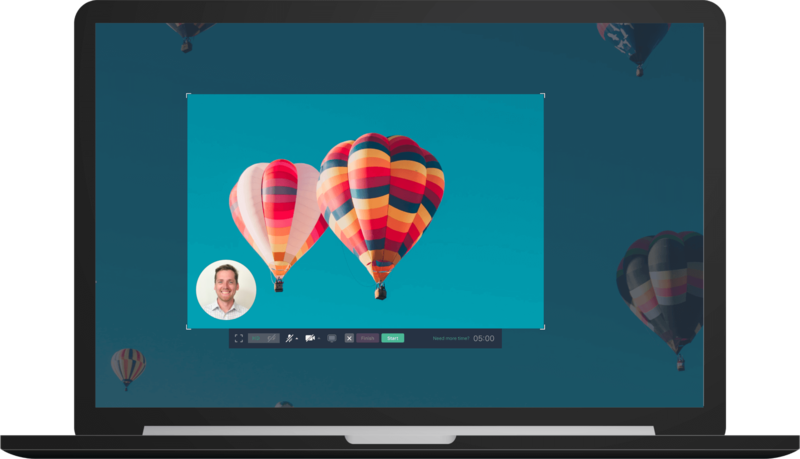 This free, all-in-one software also captures audio and static images. CloudApp is the tool you’ve been waiting for. 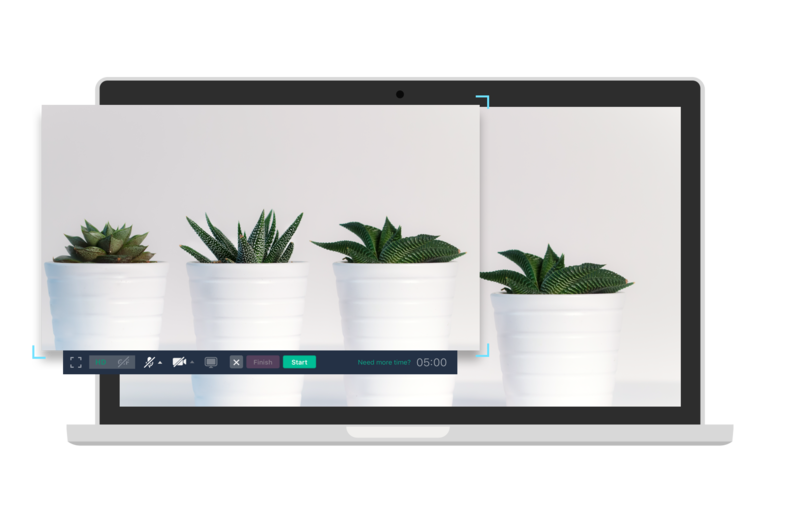 CloudApp's Video Recording Software is available for Mac, Windows, iOS and Chrome. Downloading the software is quick and easy. Simply download the app from GetCloudApp above, access it from the Apple Store for Mac and iOS, for PC from the Microsoft Windows Store, or go to the Chrome Webstore and add the extension to Chrome. When it comes to marketing, communicating and problem-solving, video is king. Video is the future of visual communication. By 2020, 80% of all online traffic will be videos. Traditional programs make the process of recording and editing complicated. 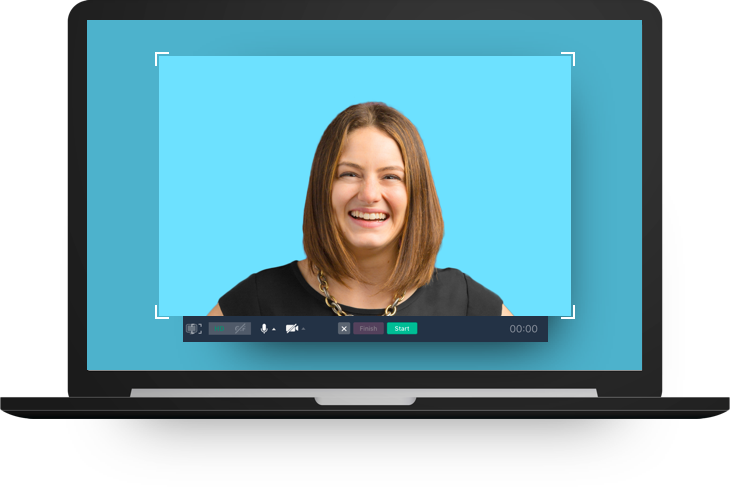 CloudApp’s free video recording software is incredibly easy to use. A few clicks will allow you to record video, which is securely stored in the cloud. Storing media locally is an outdated technique and slows your computer. With our cloud file storage, you have the power to access your content from anywhere. Tech is becoming faster every day. Keep pace with CloudApp. A video tutorial is the best way to solve a customer’s issue. It’s also a proficient training tool. A multi-scene video is difficult for the average user to create. CloudApp allows you to record one in mere minutes. Capture your screen and show your viewer exactly what to do instead of simply telling them. With the webcam recorder, anyone can record video and webcam at the exact same time. This is hands down the best way to quickly communicate and solve. Typing out memos and emails is inefficient. Your parents may have had the luxury of extra time but the modern world moves fast. Every second counts. Using visual stimuli such as videos and annotated screenshots makes you quicker and more productive. 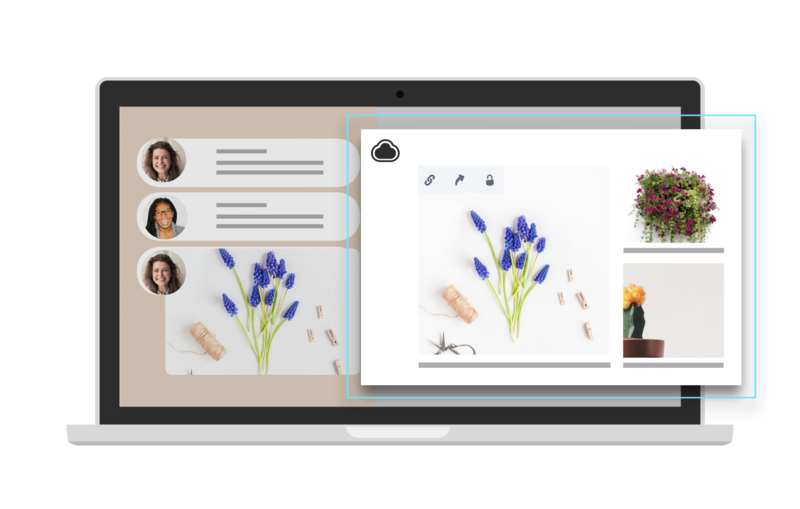 CloudApp's screenshot software accelerates workflows and make you up to 300% faster. Whether you are a solo-entrepreneur or a vital player in a corporation, your time is money. One minute of video is worth 1.8 million words. It’s clear that video is the solution you need. Don’t download multiple programs to capture and share media. CloudApp is an all-in-one free video recording software solution that does it all. Record video from your screen or your webcam. Use your mouse as a snipping tool to snap screenshots. Create and share your own GIFs. Fully edit images with text, shapes, arrows and emojis with the image annotation tool. You can even share and capture content with our Chrome Extension or through your iPhone on iOS. This is a communication tool without boundaries. 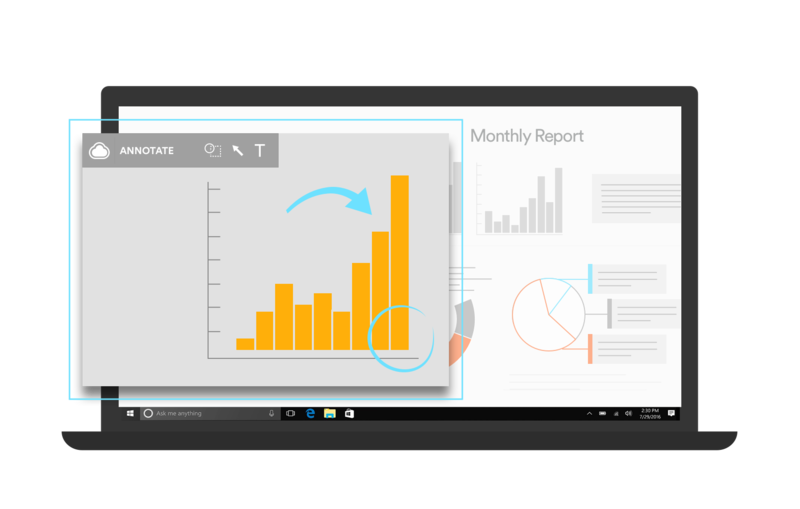 Stop switching back and forth between multiple applications. 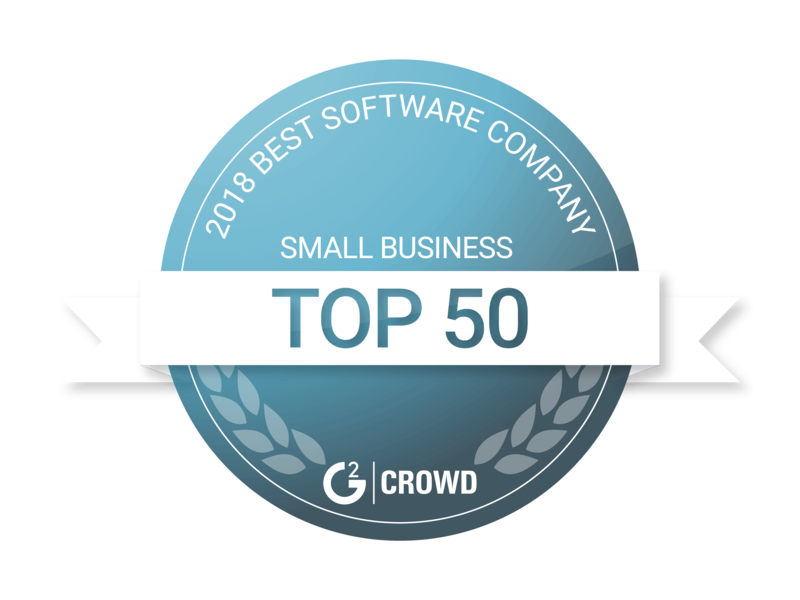 Integrated with your favorite apps, web-based software and web services, embraces an integrated solution makes you faster and minimizes distractions. When you create a video with CloudApp's video recording tool, you can instantly share it with Slack or Trello. Complete a task in Asana with a single screenshot. Instantly share your latest design with Adobe XD CC or Sketch. 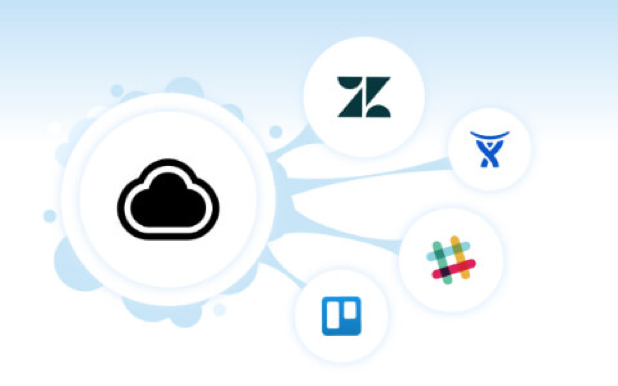 Every app you need is just one click away in CloudApp. Choose the “TV icon” at the top left of the CloudApp window to record your screen. 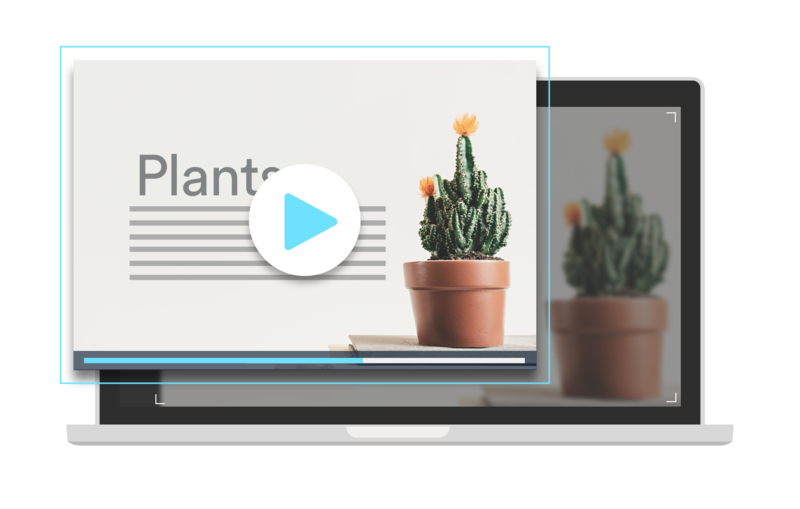 Your video is now stored securely in the cloud, ready to shared with an automatically generated short links on your clipboard. Capturing and communicating with video is a skill that every person needs to master. CloudApp is a free screen recording software for all of your communication needs. Sales reps can convert prospects with a humorous GIF. Developers use CloudApp’s video recording software to communicate coding errors to other team members. Customer support reps staff resolve issues and close tickets faster with the Zendesk integration. It doesn’t matter if you are an executive or a front-line warrior, becoming faster and more efficient is a must for everyone. If your company wants to be an industry leader, you need to innovate and take action. Profits are not made on the sidelines. Not evolving is the first step towards failure. Start using CloudApp today by registering for a free account to stay ahead of the curve. Remember, the future waits for no one.